BRUSSELS, Belgium, June 1, 2011 (ENS) – Baby bottles containing the chemical bisphenol A must be off store shelves across the European Union today, as the EU’s ban on the marketing and import of these products takes effect. The ban was mandated in an EU law adopted in late January. The directive prohibits manufacture in the EU of baby bottles containing bisphenol A as of March 1 and bans the sale and import into the EU of such products as of June 1. BPA is an organic chemical that is used in the manufacture of polycarbonate plastics, which are used to manufacture baby bottles among other plastic products. Bisphenol A is a known endocrine disrupter, a substance which can interfere with the hormonal system, and has a similar effect to that of the female sexual hormone, estrogen. Traces of BPA can be released from polycarbonate plastic containers into the food they carry if these containers are heated at high temperatures. During the first six months of the infants’ lives, exposure to the substance is the highest, especially if infant formula is the only source of nutrition. 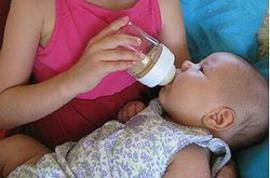 Also, during this period an infant’s system is growing and does not have the capacity to eliminate BPA. Manufacturers of bisphenol A have long claimed the product is safe. “BPA is not a carcinogenic risk to humans,” said the European Chemicals Industry Council in a 2002 review, citing “overwhelming scientific evidence” that BPA is safe for all its intended uses. 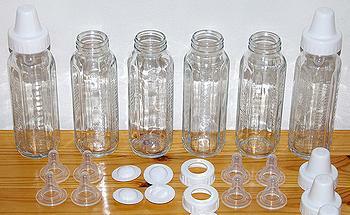 The Council has not commented directly on the ban on BPA in baby bottles. In 2010, France and Denmark took national measures to restrict the use of bisphenol A. France focused on baby bottles only, while Denmark targeted also other food contact materials intended for children. The Commission asked the European Food Safety Authority to assess the new scientific evidence and EFSA delivered its opinion in September 2010. The EFSA concluded that bisphenol A is safe up to a daily intake of 0.05 miligrams per kilo of bodyweight. The exposure of all groups of the population is below this limit. But the EFSA raised questions about the possible impact of BPA on infants, and concluded that more robust data on the areas of uncertainty are needed. “There were areas of uncertainty, deriving from new studies, which showed that BPA might have an effect on development, immune response and tumor promotion,” said Dalli. “We also call for changing the current risk assessment methods which look at chemical by chemical and neglect the chemical cocktail effect to which consumers nowadays are exposed,” said the consumers’ organization. As evidence that the “chemical cocktail” is present in human blood from the first moments of life, the BEUC paper cites a U.S. study that analyzed the cord blood of newborn babies. It showed that “their blood already contains hundreds of hazardous chemicals such as heavy metals, flame retardants, dioxins, phthalates and pesticides,” the BEUC warned. BPA has two main applications, it is used as stabilizer and hardener for clear polycarbonate plastic and in epoxy resins coating the insides of food and drink containers to protect them from corrosion. The BEUC also is calling for BPA to be added to the Candidate List under the EU chemicals law, REACH, as a Substance of Very High Concern, as this is the precondition for stricter regulations governing its use. 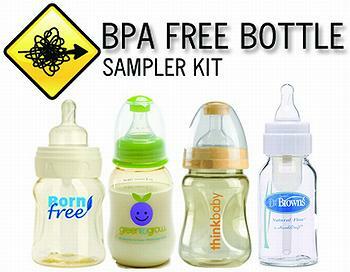 In 2006, 3.8 million metric tonnes of BPA were produced worldwide, the BEUC paper states. About 1.15 million tonnes were produced in the European Union.